SOUL CURRY Wish to enjoy life at fullest? Wish to soar in inner skies? In Buddhism, the views on vegetarianism vary from school to school. In the schools of the Theravada and Vajrayana, the act of eating meat is not always prohibited; the Mahayana school generally recommends a vegetarian diet. This is based on the firm insistence by the Buddha in certain Mahayana sutras, that his followers should not eat meat or fish. Interestingly, the accepted legend of the Buddha’s death says that he died after accepting tainted meat (pork infected with Trichinosis) from his hosts while travelling. The meaning of the relevant word to describe this food, is however contested, for mamsa is not the usual term for meat. It is sukara-maddava, which translates as ‘pig’s delight’ and has been interpreted as meaning a kind of truffle favoured by pigs. 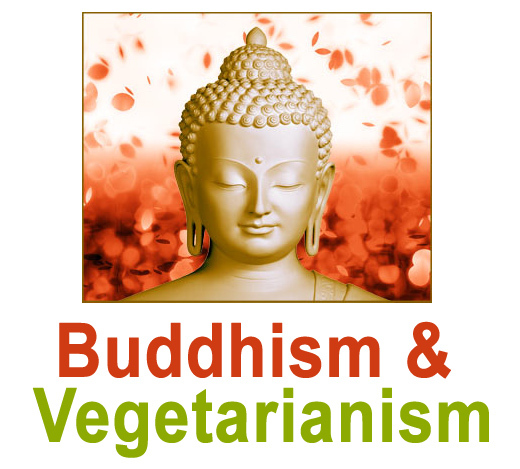 There is a divergence of views within Buddhism as to whether vegetarianism is necessary, with some schools of Buddhism rejecting such a requirement. The first precept in Buddhism is usually translated as: I undertake the precept to refrain from taking life. Some Buddhists see this as implying that Buddhists should not eat meat, while others argue that this is not necessarily the case. Some Buddhists do strongly oppose meat-eating on the basis of emphatic scriptural injunctions against flesh-eating, issuing from the Buddha himself. In the Anguttara Nikaya 3.38 Sukhamala Sutra, Buddha describes his family as being wealthy enough to provide non-vegetarian meals even to the servants. After becoming Buddha, he accepted any food offered with respect as alms, including meat. But there is no reference to him eating meat during his seven years as an ascetic. On one occasion, according to the scriptures, a general sent a servant to purchase meat specifically to feed the Buddha. The Buddha declared that meat should not be eaten under three circumstances: when it is seen or heard or suspected that a living being has been purposely slaughtered for the eater. These Jivaka are the three circumstances in which meat should not be eaten. Jivaka! I declare there are three circumstances in which meat can be eaten: when it is not seen or heard or suspected that a living being has been purposely slaughtered for the eater. In this particular sutra, Buddha instructs a monk or nun to accept, without any discrimination, whatever food is offered as alms with good will, including meat. However, in the Vanijja Sutra, the Buddha declares the meat trade to be a wrong means of livelihood. Monks! Lay followers should not engage in five types of business. Which five? Business in weapons, business in human beings, business in meat, business in intoxicants and business in poison. These are the five types of businesses that a lay follower should not engage in. In the Nirvana sutra, a Mahayana Buddhist scripture purporting to give the Buddha’s final teachings, he insists that his followers should not eat any kind of meat or fish, and that even vegetarian food that has been touched by meat should be washed before being eaten. Also, it is not permissible for the monk or nun just to pick out the non-meat portions of a diet and leave the rest – the whole meal must be rejected. Life is destroyed when farmers plough the ground or when food is cooked and insects are caught in the fire. Consequently, some Jain sources advocate avoidance of activities which are seen to have a more direct connection to killing, including all farming and eating of food, meat and root vegetables, which results in indirect destruction of animal and plant life. Some Jain monks are known to practice self-termination by starving themselves. In Buddhism, what is most important is to recognise that existence, by nature, is the cause of direct or indirect suffering and death (samsara). One should avoid gluttony and greedy consumption while maintaining a healthy diet, and a lifestyle which is conducive to attaining enlightenment. In the Pali canon which all Buddhist sects consider to be generally authentic, the Buddha, when asked, refused to institute vegetarianism in the monastic code. Mahayana Buddhism argues that if one pursues the path of the Bodhisattva for enlightenment, one should avoid meat eating to cultivate compassion for all living beings. Similarly, in Theravada Buddhism, avoiding meat eating for the purpose of cultivation of metta (loving kindness) is also seen to be in accord with Buddhist dharma. In most Buddhist branches, one may adopt vegetarianism if one so wishes, but it is not considered appropriate to attack another for eating meat. In Chinese Mahayana, vegetarianism is seen as a prerequisite for pursuing the path of the Bodhisattva. The argument for vegetarianism is made more forcefully, often to the extent of accusing those who eat meat of lacking compassion. Chinese Mahayanists do not accept the Pali sutras as definitive when they conflict with the Mahayana sutras, and consequently some do not accept that Gautama Buddha ever ate meat or permitted eating it, in accordance with the Lankavatara sutra. In the Pali canon, Buddha explicitly declared meat-eating to be karma neutral and once explicitly refused to institute vegetarianism in the monastic order. Theravada commentaries explain that the Buddha was making a distinction between the direct destruction of life and eating of already dead meat. Moreover, they point out that cultivation of vegetables also involves proxy killing. In fact, any act of consumption would cause some degree of proxy killing. Hence the Buddha advised his followers to avoid gluttony, or any other act of craving which leads to overconsumption. Certain Mahayana sutras do present the Buddha as very vigorously and unreservedly denouncing the eating of meat, mainly on the grounds that such an act is linked to the spreading of fear amongst sentient beings (who can allegedly sense the odour of death that lingers about the meat-eater, and who consequently fear for their own lives) and violates the Bodhisattva’s fundamental cultivation of compassion. Moreover, according to the Buddha, in the Angulimaliya sutra, since all beings share the same ‘dhatu’ (spiritual principle or essence) and are intimately related to one another, killing and eating other sentient creatures is tantamount to a form of self-killing and cannibalism. The sutras which inveigh against meat-eating include the Nirvana sutra, the Shurangama sutra, the Brahmajala sutra, the Angulimaliya sutra, the Mahamegha sutra and the Lankavatara sutra, as well as the Buddha’s comments on the negative karmic effects of meat consumption in the Karma sutra. In the Mahayana Mahaparinirvana sutra, which presents itself as the final elucidatory and definitive Mahayana teachings of the Buddha on the very eve of his death, the Buddha states that ‘the eating of meat extinguishes the seed of Great Kindness’, adding that all and every kind of meat and fish consumption (even of animals found already dead) is prohibited by him. He specifically rejects the idea that monks who go out begging and receive meat from a donor should eat it: “. . . it should be rejected . . . I say that even meat, fish, game, dried hooves and scraps of meat left over by others constitutes an infraction . . . I teach the harm arising from meat-eating.” The Buddha also predicts in this sutra, that later monks will ‘hold spurious writings to be the authentic Dharma’ and will concoct their own sutras and falsely claim that the Buddha allows the eating of meat, whereas he does not. A long passage in the Lankavatara sutra shows the Buddha speaking out very forcefully against meat consumption, and unequivocally in favor of vegetarianism, since the eating of the flesh of fellow sentient beings is said by him to be incompatible with the compassion that a Bodhisattva should strive to cultivate. In several other Mahayana scriptures too, (e.g., the Mahayana jatakas), the Buddha is seen clearly to indicate that meat-eating is undesirable and karmically unwholesome. In Tibetan Buddhism, a strong emphasis was placed on the number of esoteric sutras which were transmitted from Northern India. In these sutras, it is clearly stated that the practice of ‘Vajrayana’ would make vegetarianism unnecessary. A number of tantric texts frequently recommend alcohol and meat, though not all take such passages literally. Many traditions of the Ganachakra which is a type of Panchamakara puja, prescribe the offering and ingestion of meat and alcohol. In the modern world, attitudes toward vegetarianism vary by location. In the Theravada countries of South East Asia and Sri Lanka, monks are allowed by the vinaya to accept almost any food that is offered to them including meat, unless they suspect the meat was slaughtered specifically for them; in China, Korea and Vietnam, monks are expected to eat no meat. In Taiwan, Buddhist monks, nuns and most lay followers eat no animal products or the fetid vegetables – traditionally garlic, Allium chinense, asafoetida, shallot, and Allium victorialis (victory onion or mountain leek) – although in modern times this rule is often interpreted to include other vegetables of the onion genus, as well as coriander. This is called Su vegetarianism. In Japan, some clergy practice vegetarianism, and most will do so at least when training at a monastery, but otherwise they typically do eat meat. In Tibet, where vegetables have been historically very scarce and the adopted vinaya was the Nikaya Sarvastivada, vegetarianism is very rare, although the Dalai Lama and other esteemed lamas invite their audiences to adopt vegetarianism when they can. Chatral Rinpoche in particular, has stated that anyone who wishes to be his student must be vegetarian. In the end, we can say that it should be left to your sensibilities and aesthetics to decide for yourself. So readers, use your conscience to know what you wish to do. Our attempt was to provide information in general and specifically in the Buddhist context. Copyright 2007-2009 Soul Curry, Inc. All rights reserved. Soul Curry is registered trademark.